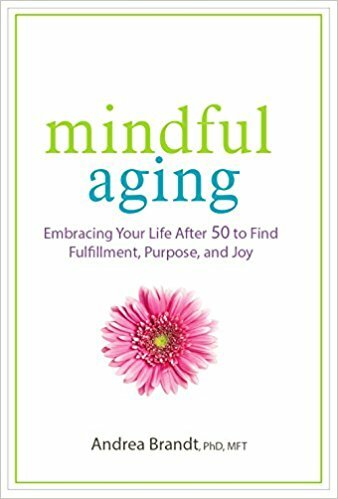 In this highly informative, inspiring, and encouraging transformational book, Dr. Brandt lays out, chapter by chapter, the key ingredients proven essential for experiencing a healthy, happy, meaningful, and significant older age. Among the topics included are positive yet realistic approaches to growing older; the value of curiosity, compassion, and self-expression; the need to maintain a healthy mind, body, and spirit; and the advantages to oneself of meaningful relationships and useful service. All of the book’s strategies build physical and emotional resilience, a must for navigating life joyfully in older age. And all increase readers’ self-awareness and guide them in living more faithfully to who they really are—their true self—emphasizing the benefits of continuing to become more themselves until the very end. Most people grow up thinking anger is bad: we shouldn’t feel it, and if we do, we certainly shouldn’t show it. Unfortunately, repressing anger doesn’t make it disappear. Instead, we end up with physical and emotional ailments, addictions, self-defeating behaviors, and the very explosions we were trying to avoid. In this book, renowned psychotherapist and anger expert Dr. Andrea Brandt reveals the merits of this misunderstood emotion and shows how mindfulness of our anger – nonjudgmentally focusing attention and awareness on it – can help us identify its cause, receive its message, and channel its energy into enhanced communication and relationships. New review of Mindful Anger that was published in The British Journal of Guidance & Counseling. “Interspersed with useful exercises, mindfulness techniques, case examples, sample scenarios as well as the author’s real-life experiences . 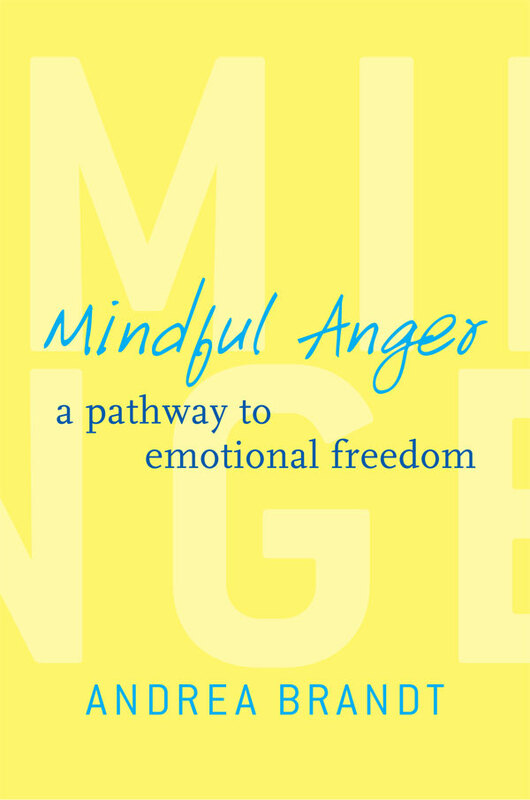 . . [this book] will help you discover how anger manifests itself in your life and how to use mindfulness to release this anger positively, leading to a kind of self-liberalisation. . . . Many people often say “yes” to something when they’d rather say “no.” They offer cooperation through words, but reveal how they really feel through actions that contradict what they’ve said. That behavior is called passive-aggression. At its heart, passive-aggression is about being untrue to oneself, which makes it impossible to have healthy relationships with others. Passive-aggression as a communication method doesn’t make someone “bad”; it is simply a coping mechanism learned in childhood that became a hard-to-break habit. Changing passive-aggressive behavior requires knowledge, tools, and practice. 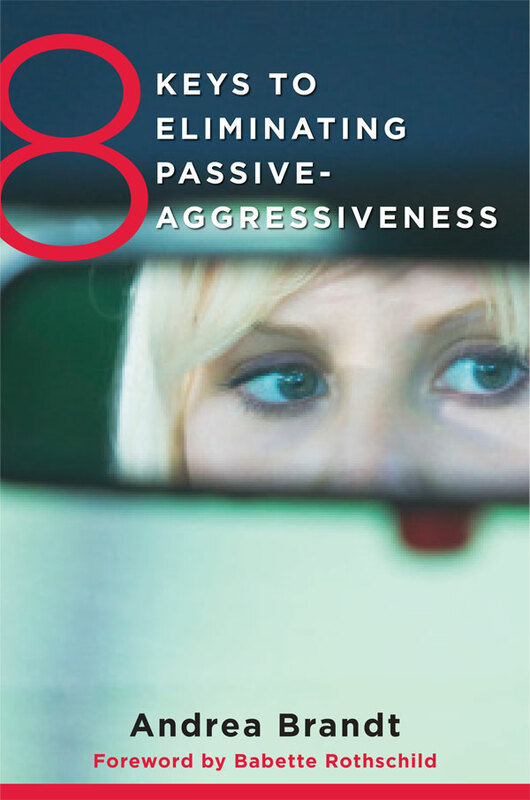 This book offers hands-on exercises and eight effective methods for transforming passive-aggression into healthy assertiveness and constructive communication. Read reviews… | See Passive Aggressive Workshop offered by Andrea. You can purchase the following materials directly from Andrea. Whether you use them in your work with her, or on your own, they will compliments your healing. Use the form below to let us know what you would like to purchase. Once you submit the from, mail a check for the price of the books to Andrea at 1018 24th St, Santa Monica, CA 90403. Once payment is received, we will reach out to let you know your materials are on the way. Free shipping in the US. For purchase outside of the US. email us at abrandtphd@abrandtherapy.com for amount. This challenging and rewarding work will redefine the role anger plays in your life. You’ll gain new perspectives and transform your anger from a destructive force to a positive tool for growth and understanding. Experience how your anger can actually free you to be more honest and loving in your personal relationships, as well as more confident and successful in your career. 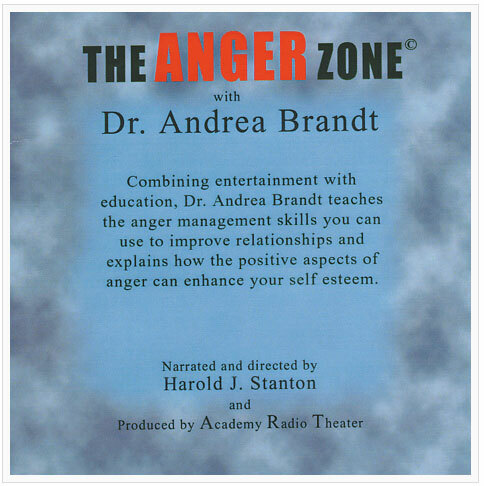 The Anger Zone CD with Andrea Brandt, Ph.D., M.F.T. In this engaging and instructional CD, Dr. Andrea Brandt combines entertainment with education to teach the anger management skills you can use to improve your relationships and to explain how the positive aspects of anger can enhance your self-esteem. Produced by the Academy Radio Theater.